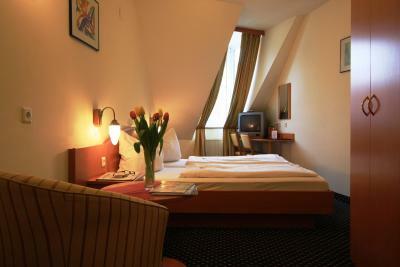 Lock in a great price for Suite Hotel 900 m zur Oper – rated 8.2 by recent guests! It was very clean and organized. The staff was very helpful and nice. The hotel was very close to all public transportation. everything was great: location, staff, breakfast. I stay here a second time. If you don't have money for staying right in the center, this is perfectly located. It's 15 minutes from the train station and 20 minutes from the center. Beds were confy, breakfast quite good, everything quiet. 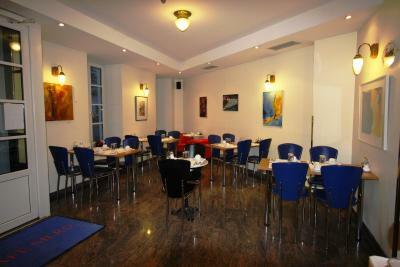 The price was fine, the staff was friendly and the room was clean. The staff are sooo nice and the location is great. I had a very small room, but it had everything I needed. The bathroom was pretty spacious- almost as big as the room. The hotel's staff is super nice. Good location, near subway. 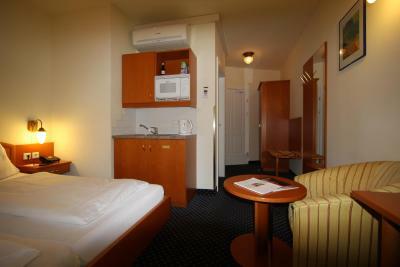 The room is perfect if you’re on a budget and prefer to cook your own food because it has a kitchenette. 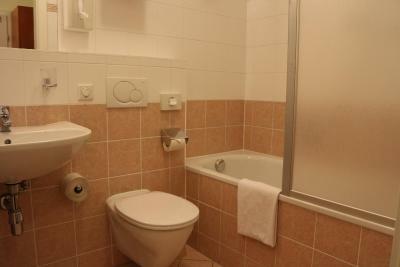 There’s also a bathtub. The staff was polite. 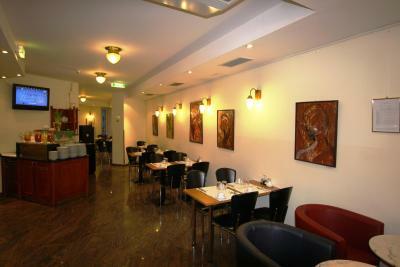 Location is great, a lot of restaurants, right by a tram & very near an underground stop. The staff are wonderful and welcoming and able to help with all kinds of things. The laundry is just €20 a sack instead of €4 a sock! There is a little kitchenette. It is super quiet and warm. They nearly always have a room! 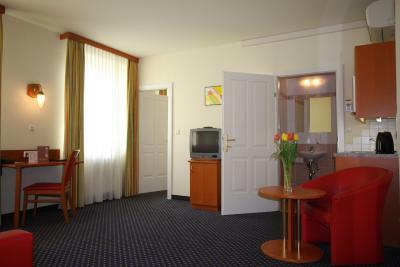 Suite Hotel 900 m zur Oper This rating is a reflection of how the property compares to the industry standard when it comes to price, facilities and services available. It's based on a self-evaluation by the property. Use this rating to help choose your stay! One of our top picks in Vienna.Only a 10-minute walk from the Opera and the lively Naschmarkt Quarter, this hotel occupies a historic 18th-century building. 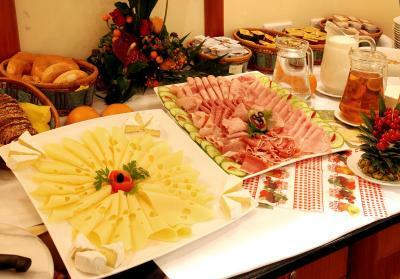 It offers a free internet station and a rich buffet breakfast. 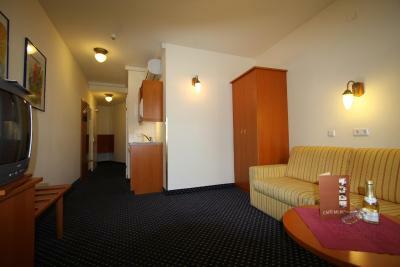 All rooms and suites are air conditioned and feature a minibar and a tea/coffee maker. 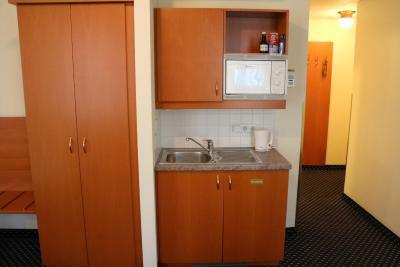 The studios and suites come with a fully equipped kitchenette. 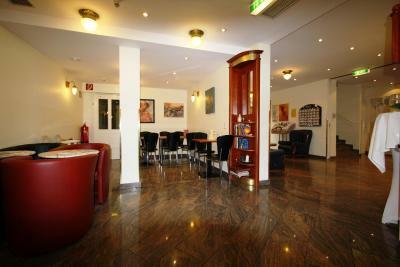 Aromatic coffee and a wide range of snacks can be enjoyed in the on-site cafe. 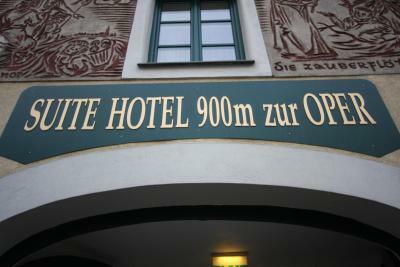 When would you like to stay at Suite Hotel 900 m zur Oper? 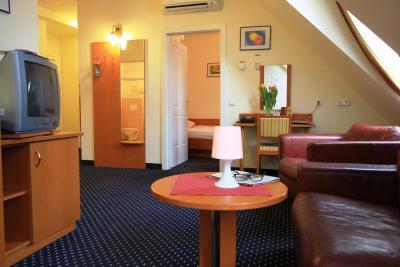 Air-conditioned room with cable TV, a minibar, and tea/coffee-making facilities. 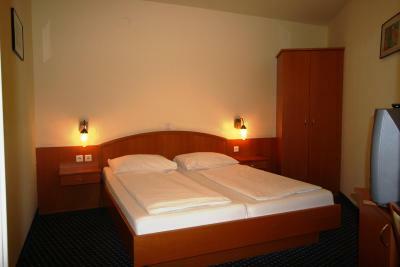 This is an air-conditioned studio with a kitchenette and cable TV. 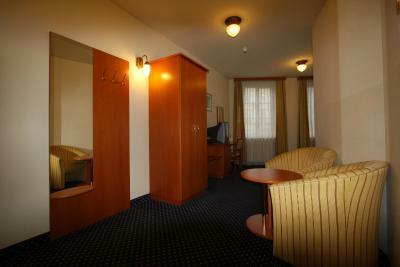 Air-conditioned suite with a bedroom, a living room, and a kitchenette. It features a cable TV. The rate is based on 4 adults. No extra beds are available in this room type. 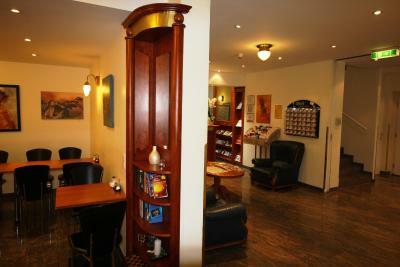 Large, air-conditioned suite with 2 bedrooms and a living room with a kitchenette. It features cable TV. 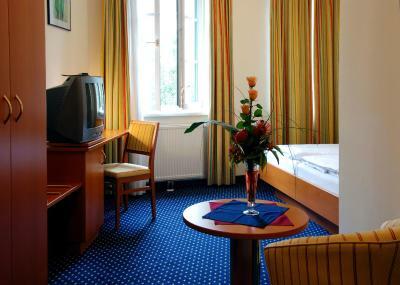 Air-conditioned suite with a bedroom and a living room with a sofa bed and a kitchenette. It features cable TV. The rate is based on 2 adults and 2 children up to 15 years old. No extra beds are available in this room type. 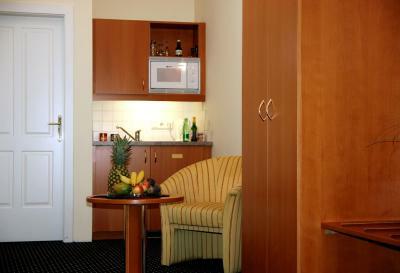 Air-conditioned suite with a bedroom, a living room and a kitchenette. It features cable TV. 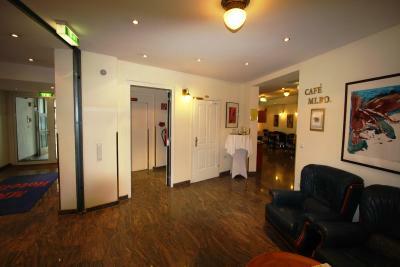 House Rules Suite Hotel 900 m zur Oper takes special requests – add in the next step! Suite Hotel 900 m zur Oper accepts these cards and reserves the right to temporarily hold an amount prior to arrival. Please note that requests regarding room location can only be granted subject to availability. 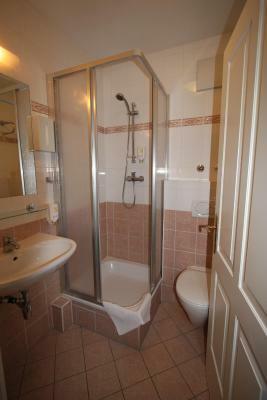 Excellent location close to the city centre. Clean rooms, good breakfast, friendly staff. Hotel is very quiet even when fully booked. No anti slip mat in bath/shower. No lounge area. Comfy bed. Proximity to town. Pillows are thin and not very comfortable. Wi-fi connection is not so fast and not stable. 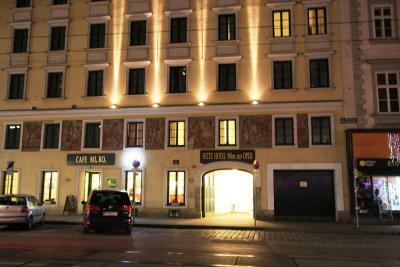 Hotel placed in walking distance from Wien Opera (about 1.1 km) and Belvedere. The U-Bahn Station Taubstummengasse (Red line) is not more 5 min by walk from a hotel. It is Very calm part of Wien near from center. A lot of monumental (old) as well as newly (for example, Technical University) buildings placed side by side. Staff of hotel are very frendly. Room is comfortable with necessary equipment. Everything was small from room, bed and shower room. good to park car inside building and nice breakfast. Around 2km to centrum. Pillows should be changed. Considering its price, I would advise having breakfast elsewhere. Location is fine. A 15-minute walk from the center (you can easily get there by tram too). Quiet area... Good restaurants (not so touristy) are within walking distance. The staff was helpful. They don't have double beds, plus they were really uncomfortable. Furniture and decoration is old. Breakfast was really good and complete. 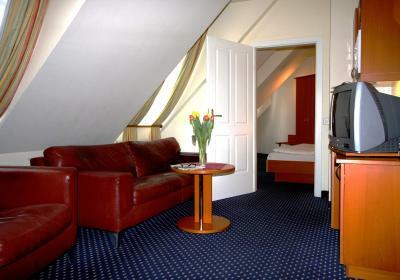 Hotel location is good too, 10 minutes to the city center (Oper and Karlsplatz). Staff was nice. The room was big but with very basic stuff. It would have been nice to find minimal toiletries in the bathroom; there was only a soap dispenser at the sink and in the bath. How about some shampoo, conditioner and a shower cap? (Warning: the bath is quite high from the floor and there is nothing to hold onto when climbing in or out; a grab rail would be both helpful - and avoid possible falls and accidents.) While the breakfast buffet is good on the whole, I would have liked some yogurt. Also, the bowls for cereal are far too small! 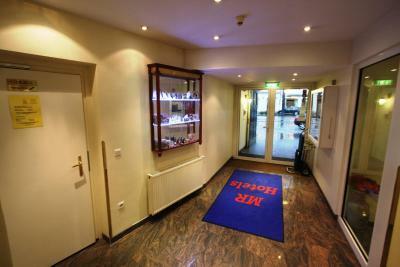 The reception desk staff were all friendly, helpful, cooperative and welcoming. I arrived too early to check-in and was welcome to leave my luggage for the day. To my surprise, I was given a junior suite (#44), spacious, light-filled and well equipped, 3 windows overlooking the"main" street where the local tram passes but which was not at all noisy, Unfortunately, I was unable to take full advantage - fridge, micro-oven, eating utensils, etc., -- as I was there only 1 night; I hope to return for longer. The view from the window was not great, but it doesn't matter. 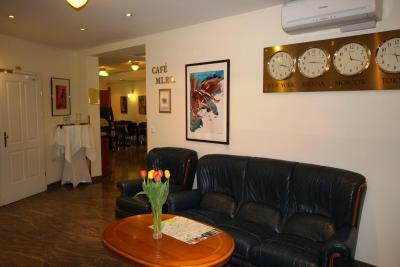 Good location in a walking distance to the city center. 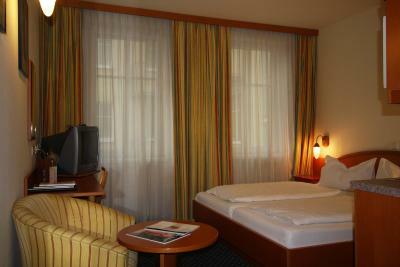 The room was cozy, with good soundproof. The staff was friendly and helpful. Good location. It's a clean hotel, with helpful staff.